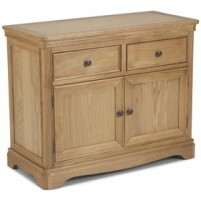 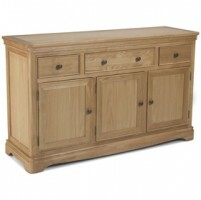 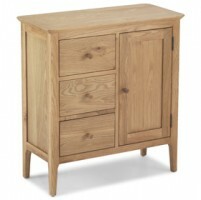 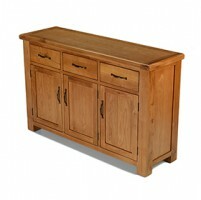 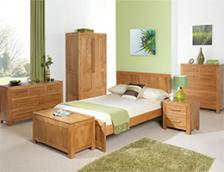 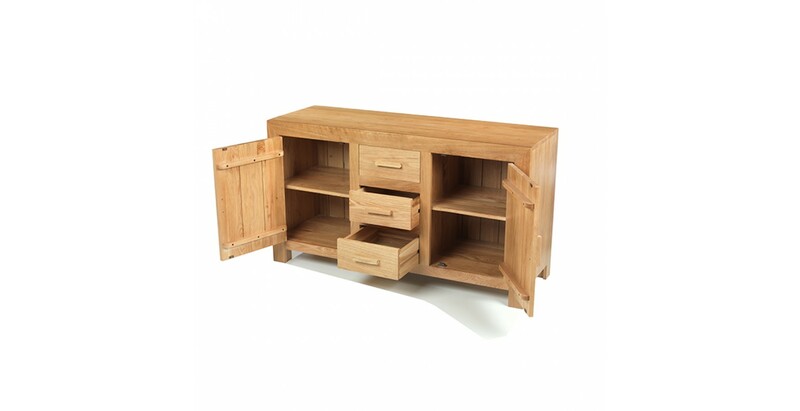 A versatile piece in any room, a sideboard is just the thing for helping you to stay clutter-free in style. 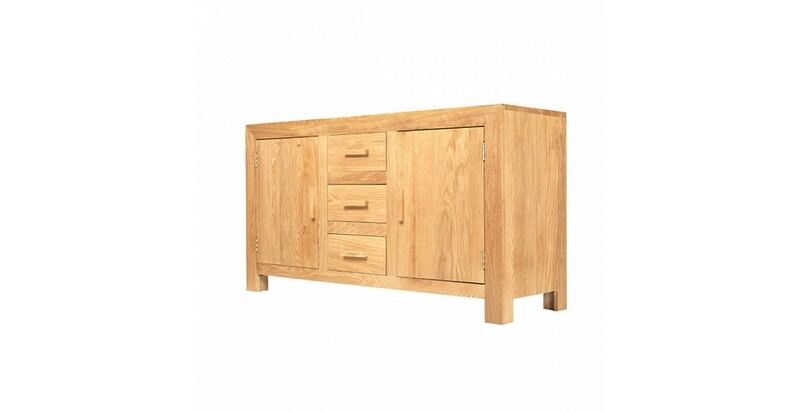 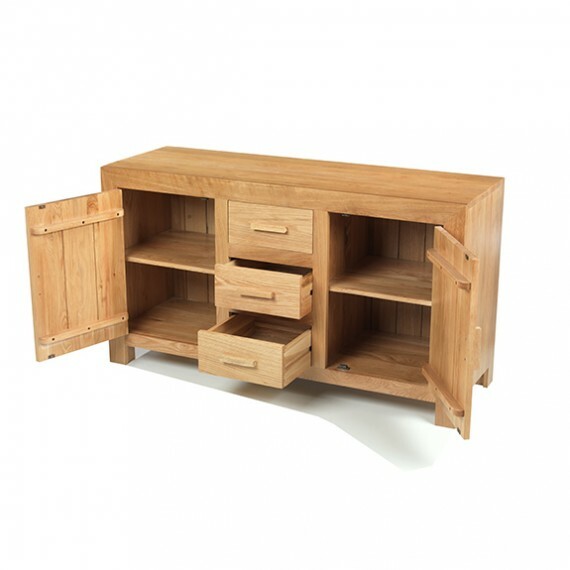 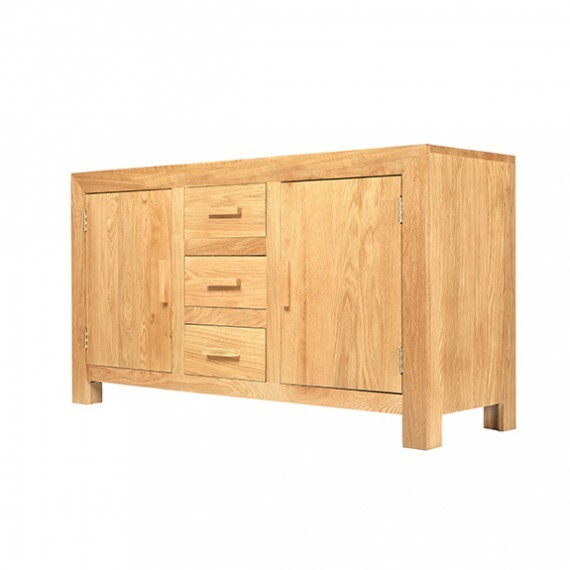 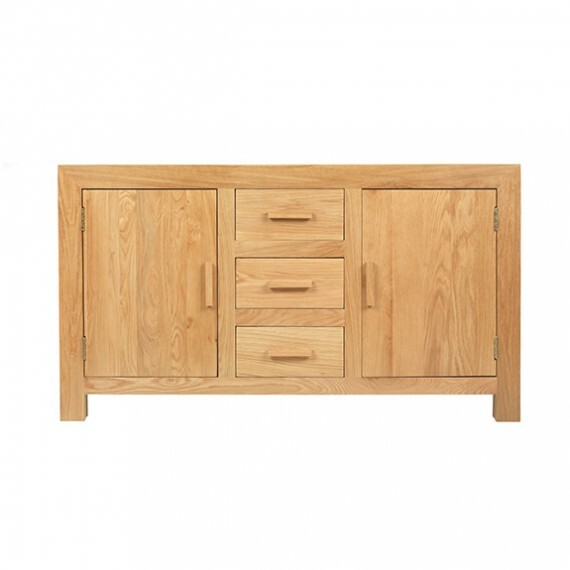 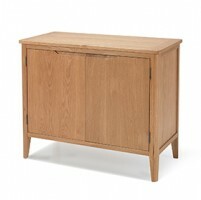 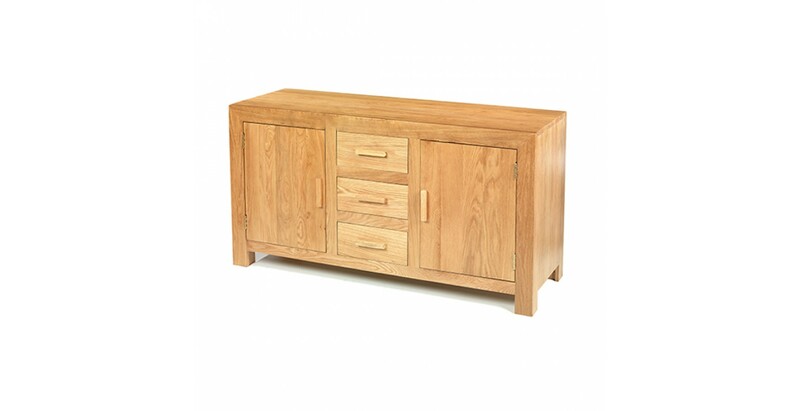 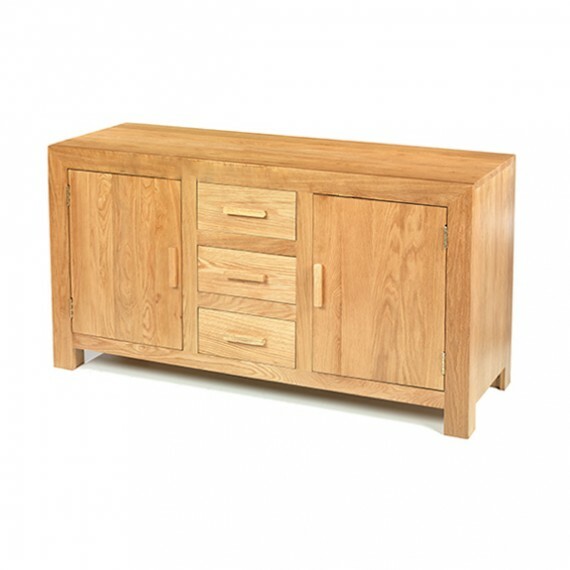 Like all of the Cuba oak range, this generously sized sideboard is a combination of traditional craftsmanship and clean, modern, elegant lines. 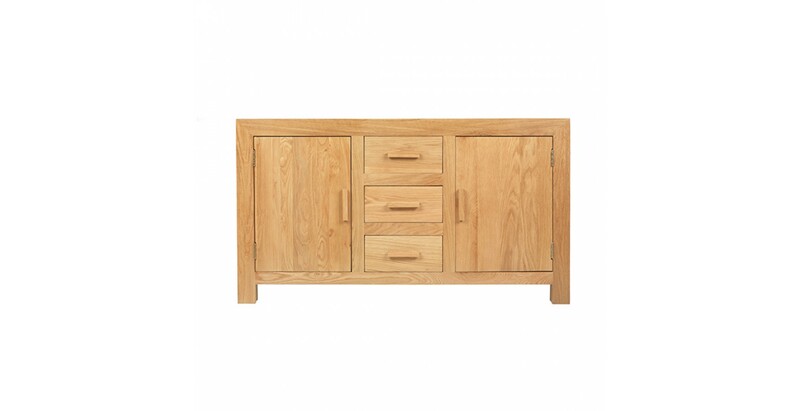 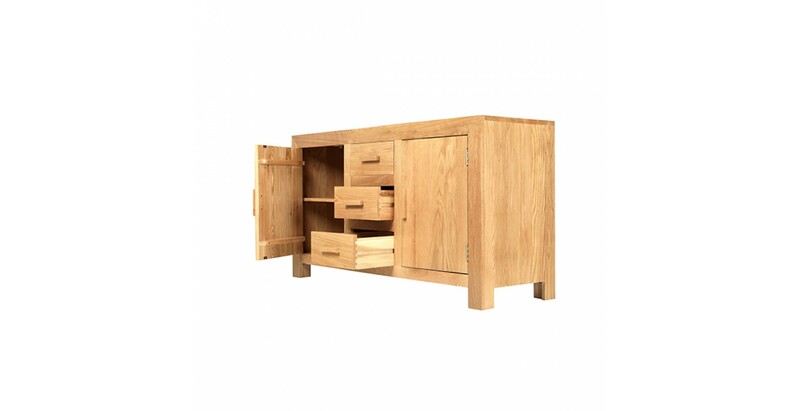 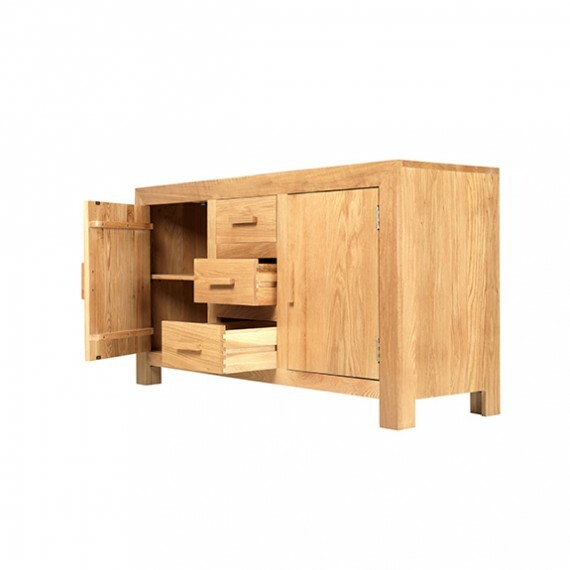 Two roomy cupboards with a shelf in each and three deep drawers will help you stay organised in the kitchen, dining room, living room or hallway, and the matt lacquer finish highlights the lovely grain patterns and the oak's natural warmth.